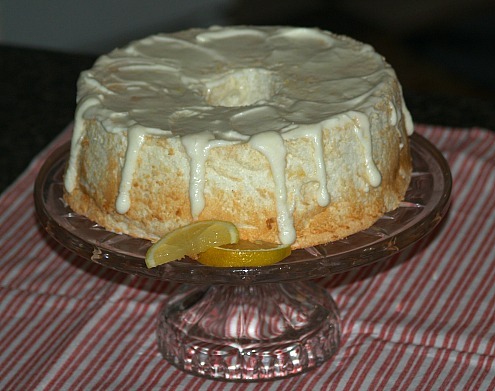 Learn how to make the angel food cake recipe and something about its history. This recipe originated right here in the United States. It became very popular in the nineteenth century. The reason for its popularity is because back then all noodles were made by each homemaker. The noodles were made with the egg yolks so this left so many egg whites which needed to be used. When learning how to make the angel food cake recipe you will see that this was a perfect way to utilize these egg whites. I still follow this process today; I make noodles and then I make angel food cakes. The angel food cake is very light and airy. This is because the whites are whipped until stiff before folding in the flour. One of these cakes made from scratch is so delicious; much better than a commercially made one or one made by box. 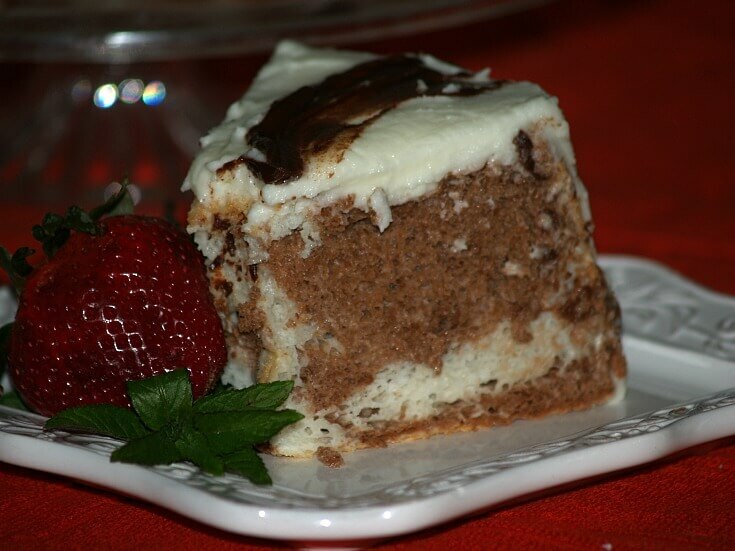 A homemade one has such a good flavor and should be more moist than a commercially made one. 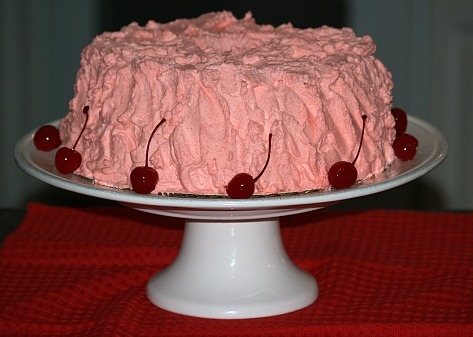 Like other sponge cakes, when you learn how to make the angel food cake recipe you will see that it needs to be “sawed” with a serrated knife rather than sliced with a plain knife. 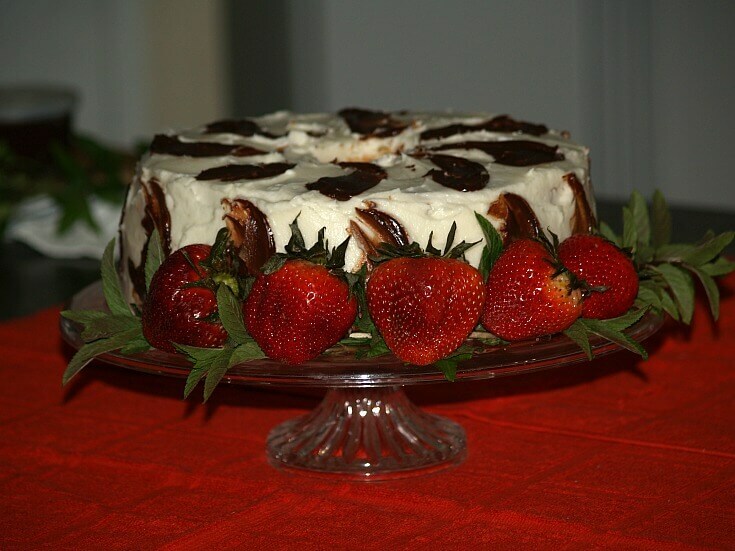 This cake is delicious when eaten plain, you can add a thin glaze over it or you might want to serve it with a little fresh fruit or fruit sauce. This cake is baked in a tube pan and after baking it needs to be turned upside down until cold. You do not want to grease the pan before baking because this light cake needs to stick to the sides to hold in the little “air pockets” which makes it light. Because the angel food cake is made with only the whites of the eggs and no added fat it is considered to be much healthier. Many doctors recommend this cake as a dessert for people with high cholesterol. 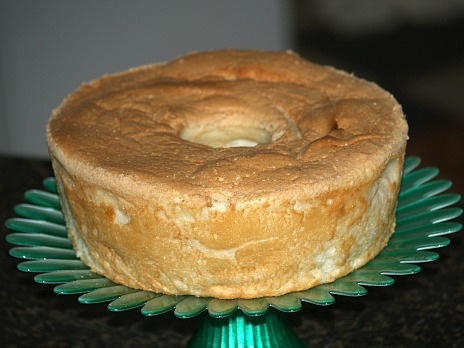 My husband was one on such a diet and he loved my angel food cakes. I cannot say his diet was healthy considering how much of this cake he ate! 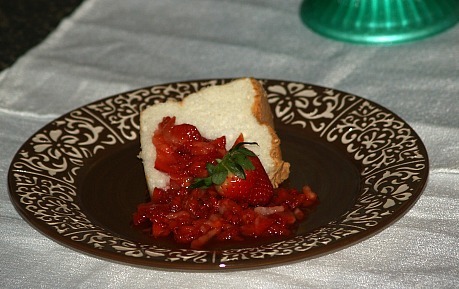 Since the first angel food cake was recorded many have made additions and changes. 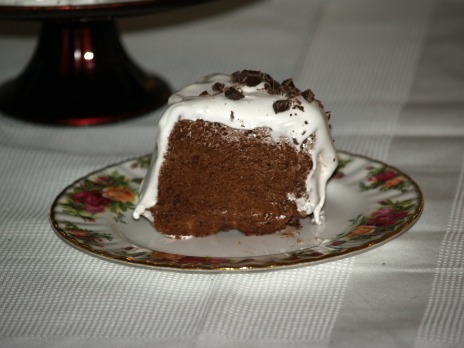 Now you will see recipes for spiced cakes, chocolate, marble, cherry and many others. When you get experience baking this type of cake you can use your imagination to develop other flavors. 1. Use eggs which are not too old; 3 to 10 days. This is best accomplished by buying them locally not ones shipped all over the country. 2. Separate the whites from the yolks when the eggs are cold; set whites out to room temperature before beating. 3. Do not allow 1 speck of yolk to get in with the whites; it will prevent them from whipping up. 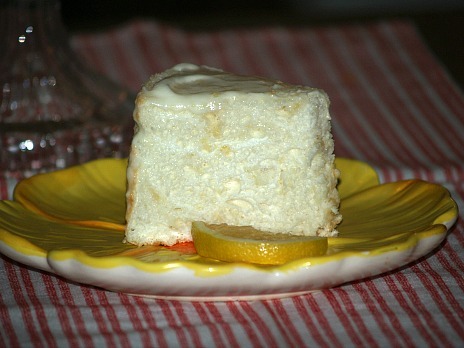 The following is my favorite angel food cake; not completely different from most other recipes. I have made this one for over fifty years and always with great success. Measure flour and sift; measure it again. Combine powdered sugar with flour and sift together two more times; set aside. Add cream of tartar and salt to egg whites in a large mixing bowl. Beat whites on high speed until soft peaks; add granulated 2 tablespoons at a time while beating. Beat whites until stiff peaks form; CAREFULLY FOLD in vanilla, almond and flour mixture. After blending push batter into an UNGREASED tube baking pan. Bake on lowest oven rack for 30 to 35 minutes until light brown. Remove from oven and turn immediately upside down hanging over a glass bottle. Let hang until COLD; run long thin knife around pan edge to loosen cake from pan. After removing sides of pan, run the knife across the bottom to loosen the bottom of cake. Sift flour; measure and sift twice more; set aside. Gradually sprinkle in sugar while beating on high until stiff peaks form. Sift the flour over the surface, add flavorings and fold in; turn into an UNGREASED tube pan. Bake in oven on bottom shelf about 35 minutes; turn cake upside down until cold. To make SPICED ANGEL FOOD CAKE RECIPE add ½ teaspoon of nutmeg, allspice and cloves plus 1 teaspoon cinnamon to the flour before sifting twice. 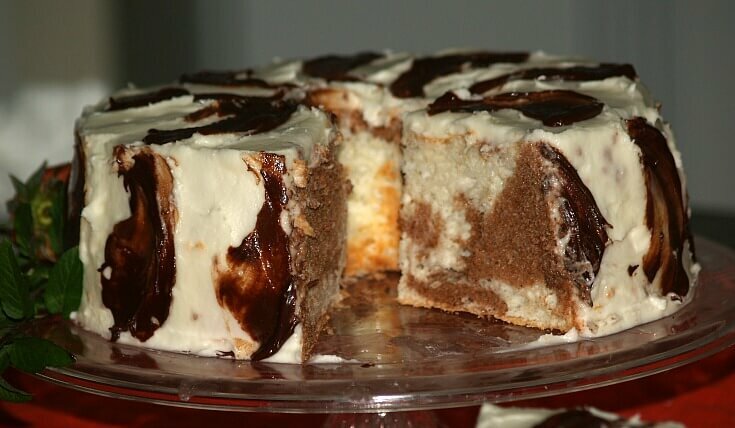 To make a MARBLE ANGEL FOOD CAKE RECIPE before adding flour divide batter in half. To one half add ½ cup sifted flour; to the other half add 6 tablespoons of sifted flour and two tablespoons cocoa powder, sifted together. Spoon the batter into ungreased tube pan alternating the light and dark batter. 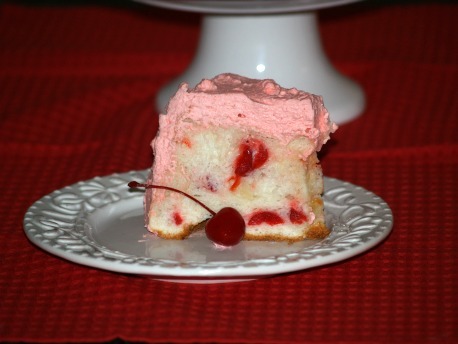 To make a MARASCHINO CHERRY ANGEL FOOD CAKE RECIPE pour about 1/3 of the batter into the tube pan. Sprinkle top with ¼ cup finely chopped maraschino cherries and another 1/3 of the batter. Top with another ¼ cup chopped cherries and then add remainder of the batter. Gently run a knife through to the bottom of the pan to mix the cherries with the batter. Whip cream and gelatin; slowly add sugar while beating. Beat until stiff peaks form; frost top and side of cake. Sift together powdered sugar, flour, salt and cocoa powder THREE times; set aside. Gradually add granulated sugar while beating on high until stiff peaks form. Sprinkle vanilla and cocoa mixture over top of egg whites. Gently fold flour mixture and vanilla in until well blended. Spoon mixture into an UNGREASED tube pan. Bake about 35 minutes; turn pan upside down until completely cold. Run knife around sides and tube to release cake from pan. Combine sugar and water in a heavy saucepan; bring to a boil. Simmer sugar and water until temperature reaches 242F degree on candy thermometer. Beat egg whites and cream of tartar together until frothy. Slowly add hot syrup mixture (In a slow stream) to egg whites while beating on high speed. Continue beating on high speed until mixture becomes cooled and peaks are stiff thick peaks. 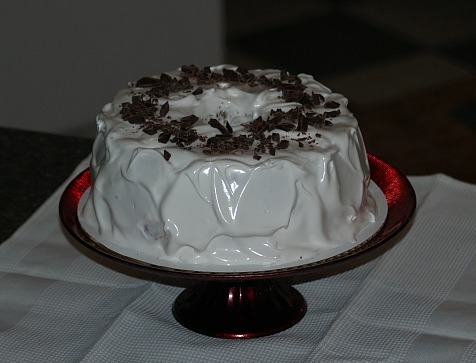 Frost cake and garnish with chocolate shavings. Combine ½ cup powdered sugar with cake flour; sift 2 to 3 times and set aside. Beat egg whites, cream of tartar and salt until foamy. Gradually add ¾ cup powdered sugar and beat until stiff peaks form. 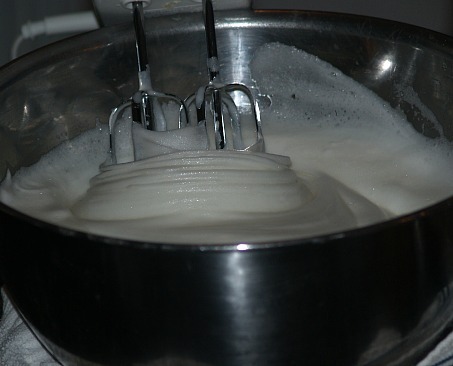 Gently fold flour mixture into the beaten egg whites. Spoon batter into a 10 inch tube pan. Bake about 35 minutes or until golden brown; turn pan upside down to cool completely. NOTE: I made a lemon glaze to top this cake. This is a simple glaze that you can use for any angel food cake recipe. You can add any flavoring like vanilla or simply leave it white. Combine sugar, butter and flavoring in a small bowl; add enough milk to desired consistency.